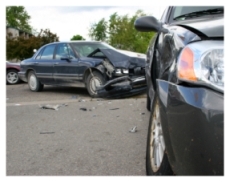 Are you suffering from a car accident injury? Chiropractic medicine might be just what you need. If you have never been to a Chiropractor, you may want to know what you can expect when you visit our office. The first thing that our staff will do is gather necessary information about you that will help in determining what, if any, assistance from our staff you might need. Once your information has been gathered, one of our doctors will begin an examination, as well as discuss with you what specific issues you might be experiencing. If our Doctors’ feel that your case warrants the type of care that we provide, treatment options will be presented to you. Suffice it to say that our Doctors are most concerned about your health and well being and will provide you with the best care possible. •Sleep disturbance due to pain/stress. Find out if we can help you for free! Simply print out this page and bring it with you to your first appointment and we will provide a consultation and examination for free! To find out more about what to expect when visiting us, click here.